Cranchi powers into the luxury league with its Yacht Class series. 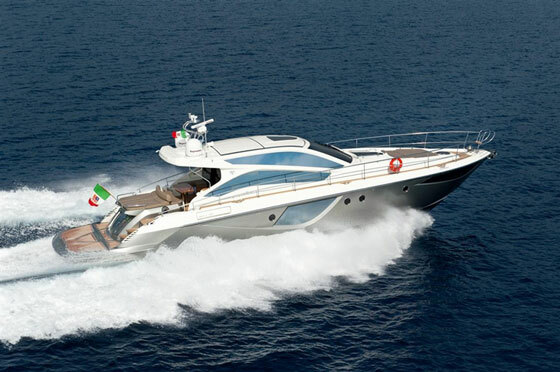 Cranchi has come a long way since its early days as a builder of wooden motorboats on Italy’s Lake Como. Back in the 1870s, the “company” was essentially a workshop where boats were crafted on commission for local fishermen. Today, 14 models that are almost futuristic in styling and execution represent the Cranchi brand. They’re distributed internationally and produced in multiple yards. At one of those yards, a facility was recently constructed for the builder’s new Yacht Class series, a line of luxury cruisers that have catapulted Cranchi into a new league. The stylish Cranchi Sixty 4 HT is powered by twin 1400-hp MAN diesels. 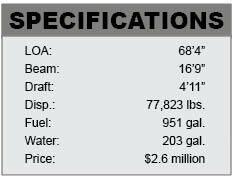 Prior to the debut of the Yacht Class series, the largest Cranchi was a 50-footer. 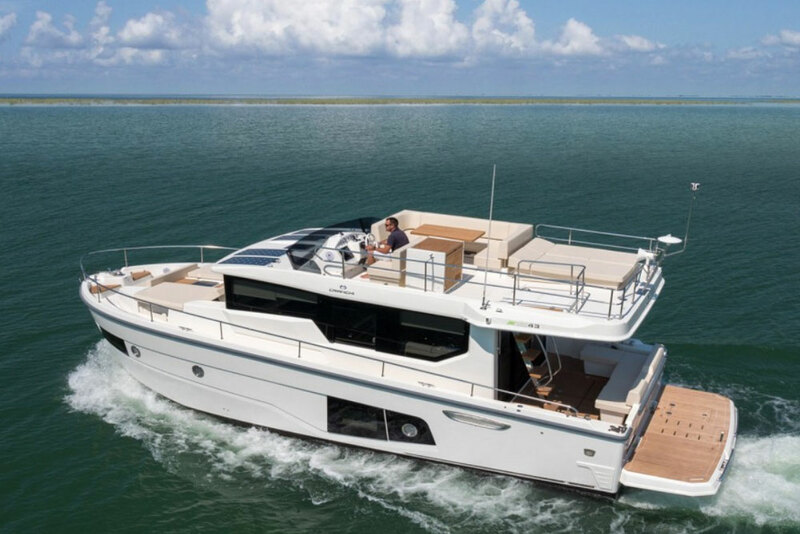 Now, the builder’s portfolio boasts a Cranchi 56, a 66, and this Sixty 4 HT – all models that are much larger than the company’s previous flagship. 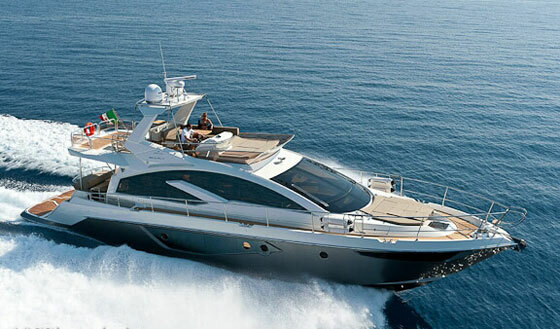 The Sixty 4 HT, which was in development for almost five years, is one of the boldest-looking sport yachts in its class. 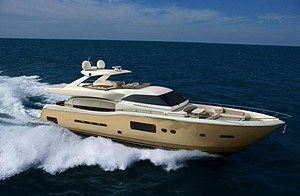 The exterior is nothing short of stunning, with the molded lines scalloped into the topsides and what appear to be the largest hull windows I’ve seen on a yacht in this LOA range. The Sixty 4 HT is no wallflower; this machine will command attention with a style all its own. Backing up the sporty looks is a good turn of speed: The boat will run close to 35 knots at the top end with a pair of 1400-hp MAN V-12 diesel inboards. The bridge-deck saloon area is flooded with natural light. 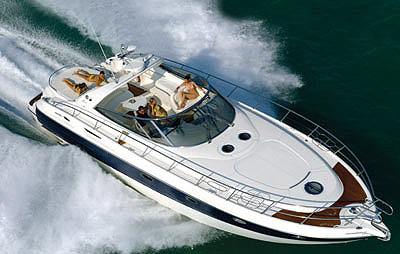 Standard bow and stern thrusters will make the Sixty 4 easy to handle in the marina. 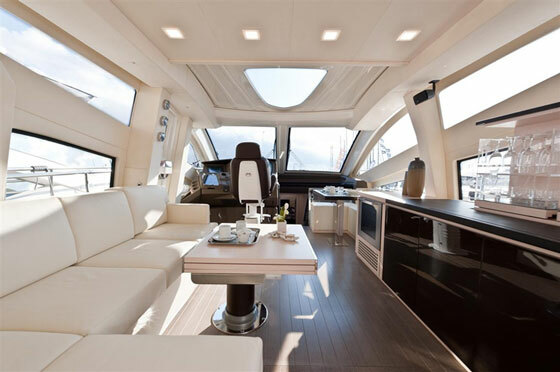 Although the bridge is enclosed, the yacht was really designed for people who want to be outside in the elements, with salt spray in their hair and sun on their face. 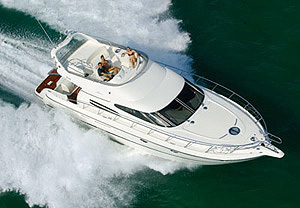 For that reason there are lounges located on the foredeck and in the cockpit, as well as a clever arrangement of doors and windows in the saloon that you can make disappear; thus, the interior is open to the cockpit and the cooling breeze. The 64 HT has its fair share of clever features. One of the slickest is the sunroof, which has four positions: closed, tilted with just the back open, raised at the front and back, or fully retracted. There’s also a trash dispenser built into the cockpit deck and neat storage lockers in the engine compartment—a place for everything. 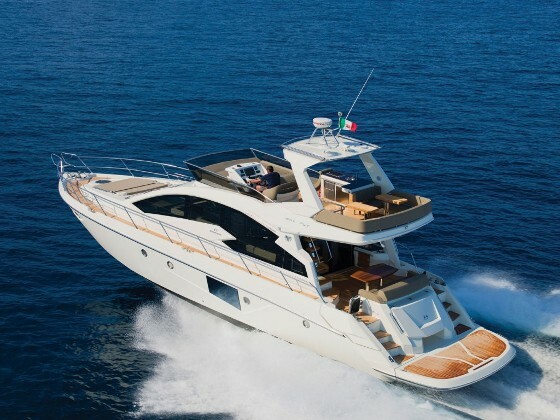 The Cranchi yard provides a fully equipped, complete vessel, so there really isn’t an options list offered with this Sixty 4 HT. However, owners can choose the fabrics and finishes for the interior. When selecting colors for this yacht, remember that there’s a lot of beautiful, natural light in the cabin, particularly in the galley, located under the windshield. Beyond the galley, forward, are the accommodations: a master cabin amidships, VIP cabin forward, and a twin cabin in between the two. 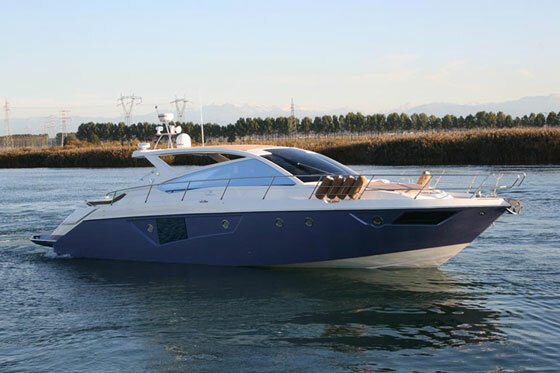 Of the three models in Cranchi’s Yacht Class series, the Sixty 4 HT was launched first, and perhaps for good reason. Its bold style, intelligent features, and incredible creature comforts set the bar high for future designs. For more information, visit Cranchi.